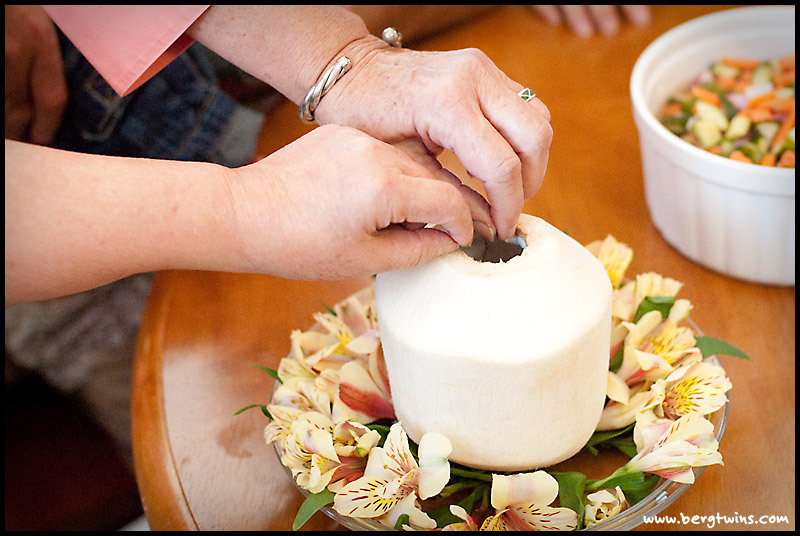 My mom follows a tradition that on the 40th day after the birth of a child, a "coconut ceremony" is performed. Apparently, this tradition came from the Indonesian island she was born on, and the purpose of the ceremony is to wish a child a long, healthy and successful life. 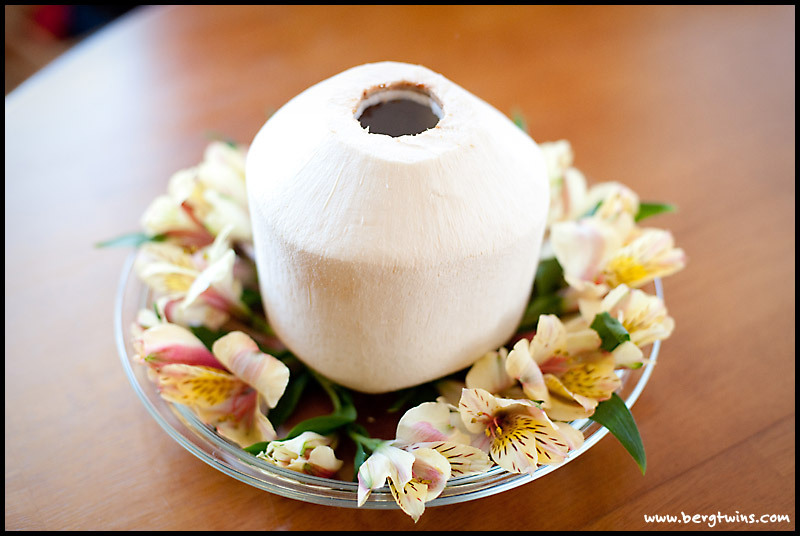 The first coconut ceremony I've experienced was for my niece almost 6 years ago, then my nephew two years later, and now for the twins. 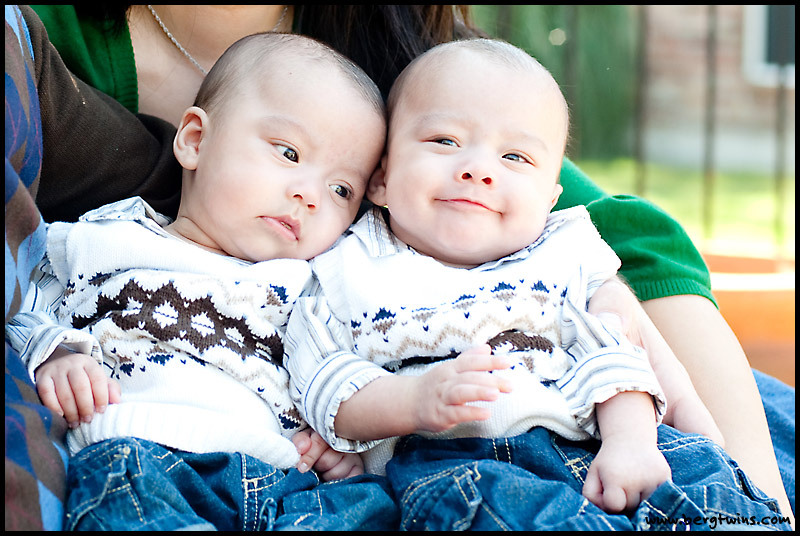 However, we didn't exactly make it on the 40th day for the twins, but rather the 95th...so I hope this still works! Evan is a little skeptical about this tradition anyway because he failed to find it on google! I agreed to go through with it because I knew there would be alot of good food! Then, a tiny bit of hair is cut from the baby's head...in this case, two babies. Here is Evan's mom hesitantly cutting Bryce's hair (while my mom did Benjamin's). Bryce looks like he's thinking, what in the heck are you doing? The hair is then dropped into the coconut, and afterwards we had to keep the coconut for 7 days. That's about it! Yes, you're probably thinking, this family is odd. Poor Benjamin was so tired throughout the whole thing.